How will voice search affect your SEO? For years now voice search has been taking the tech world by storm, through the likes of the ever-expanding technologies such as Amazon Alexa and Google Home, and the smartphones we have at our fingertips. There was once a time where it was impossible for Siri to understand what you were saying, and would bring back searches that were completely unrelated to what you originally wanted, but now the speech recognition word error rate is as low at just 8%. Thanks to these changes, 55% of teens and 41% of adults use voice search daily. What does this mean for your SEO, though? First of all, let’s go through why voice search is so popular nowadays. As aforementioned, the technology is so advanced that there are little errors when returning results, which is attractive to users and therefore they see no problem with continuing to use it. For the majority of people it’s easier and quicker to speak rather than type, and there will be no spelling mistakes this way. Voice search allows you to multitask, and it’s hands-free, making your life a whole lot easier. Now onto SEO. Seeing as voice search technology is gradually advancing forward, we can see it becoming more popular for years to come. So now is a good time to incorporate a voice search strategy into your SEO. What should you consider? 1. Long tail keywords – Now that people are using speech, they’re more likely to use a full sentence, such as “where is my nearest bank?” when searching, as opposed to typing shorter words such as “nearest bank” to get a quicker result. You should still remember to use short tail keywords (searching by hand isn’t off the radar just yet), but you need to take into account that the people using voice search are going to talk to their device like it’s a person, therefore using proper sentences in their searches. Consider natural phrases in your keyword SEO. 2. FAQ pages – It may be worth adding an FAQ page onto your website if you don’t have one already. Straight away this answers the “who, what, where, when, why” questions that users may be asking. 3. Research your keywords – This is key to discovering what your customers may be searching for. There may be keywords that you hadn’t considered, or words that aren’t in your usual vocabulary, so it’s worth researching so you don’t miss anything. One way in which you can do this is through interviewing customers and noting down any keywords they may consider using when searching for your business. 4. Mobile first – Although we always integrate mobile-first thinking when creating our websites or sorting out SEO, it’s worth noting that the majority of voice searches come from smartphones (despite the growing popularity of Amazon Alexa and similar devices). 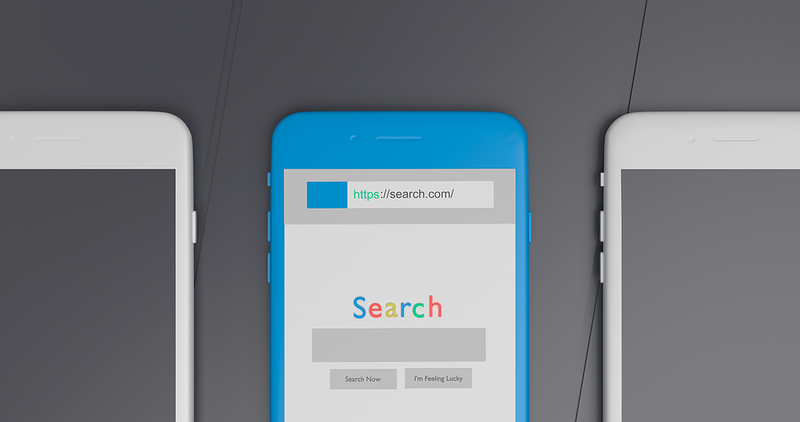 So you should still consider the SEO you have for mobile, but also check how mobile-friendly your website is, as the voice search will be taking the results from friendly websites after all. 5. Conversational content – Because the results of your voice search will be played back to you via speech, you’ll want to make sure that any content you write sounds conversational. No one wants to hear broken English, or something that doesn’t get to the point. 6. Location – Voice searches are more location-based than typed queries, meaning that you should take that into consideration when creating your content and SEO. Ensure that all your information is up to date through the likes of Google My Business. Now is the perfect time to consider these factors, before technology changes once again. Voice search will be here to stay for a while, and so we recommend you check your SEO today. If you’d like help with this, contact AMA.